– Take the A-7 motorway, direction Estepona-Algeciras-San Pedro de Alcántara; leave the motorway at exit 158 (Estepona-Palacio de Congresos). – At the roundabout, take the 3rd turning direction A-7 (Estepona-Málaga). Upon reaching Punta Pinillos roundabout, take the 2nd turning to Urbanización Alcazaba Beach. Take Avenida del Litoral (coastal road). 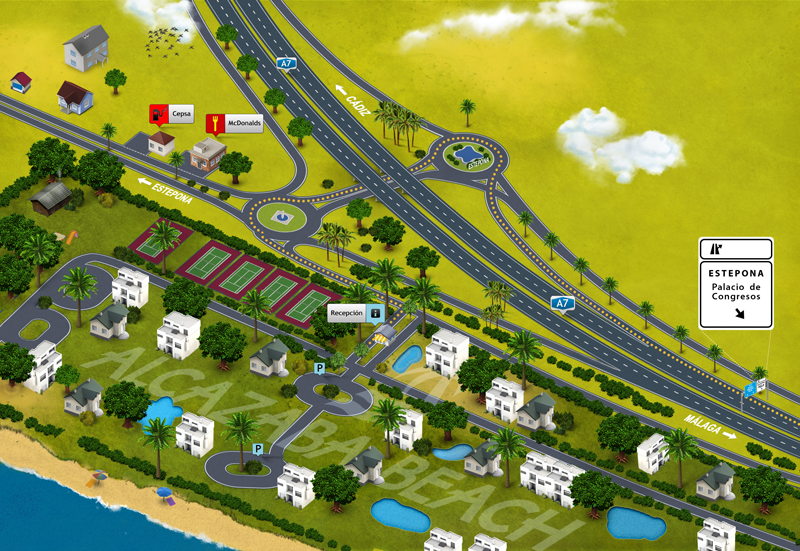 Upon reaching the 3rd roundabout, take the first turning to Urbanización Alcazaba Beach.